This elusive wood panelled old tavern, hidden down an alleyway between 8 and 9 Hatton Garden, dates back to 1547 when it was built for the servants of the Palace of the Bishops of Ely from Cambridgeshire. Both palace and pub were demolished in 1772 though the present day pub encompasses a stone mitre from the old palace gatehouse built into a wall. The tavern, like Ely place, is technically still part of Cambridgeshire and is not officially part of the city of London - in a way it's like a mini version of the Vatican - and the police can only enter if invited by the commissionaire. St Etheldreda's, London's only medieval Catholic church, also stands in Ely Place, the only remaining part of the old palace. Thatchers is always on tap along with five other hand pumps - take your pint and settle in to ye closet for a cosy night in. The best pubs near London Ye Old Mitre Tavern. 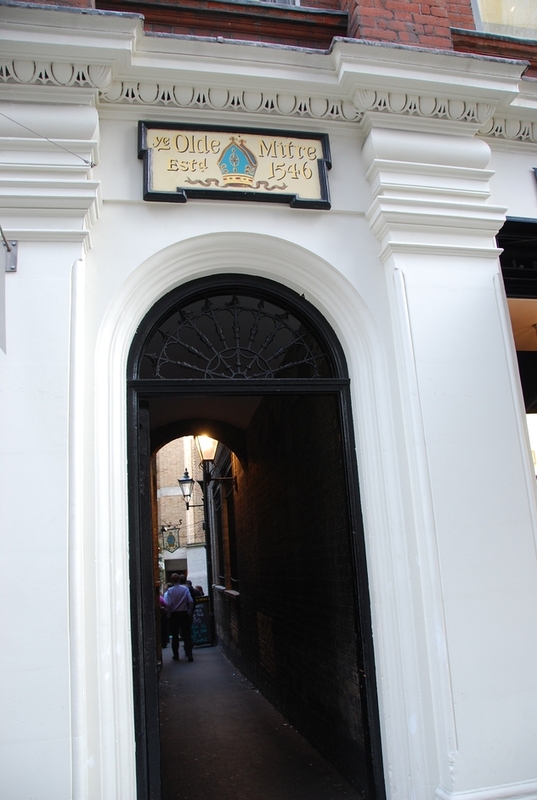 Ye Old Mitre Tavern clubs, bars, cabaret nights, casinos and interesting nightlife. What are the best dining options near Ye Old Mitre Tavern London? Ye Old Mitre Tavern gyms, sporting activities, health & beauty and fitness. Where to have your meeting, conference, exhibition, private dining or training course near Ye Old Mitre Tavern. From cheap budget accommodation to luxury 5 star suites see our discounts for Ye Old Mitre Tavern hotels, including The Zetter Townhouse Clerkenwell from 57% off.